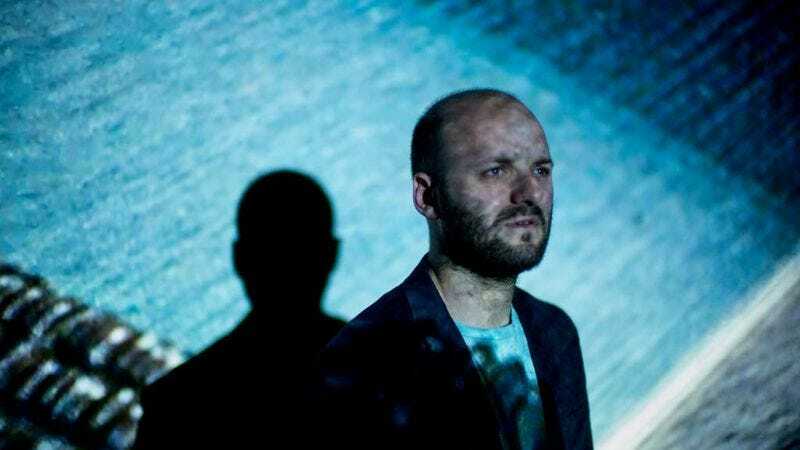 Being pushed into the spotlight on the back of Luxury Problems’ critical acclaim was an unlikely place for Andy Stott to end up. For nearly a decade, the Manchester-based producer made music that dwelled most comfortably in murk—dub techno that softly knocked and rolled, as though echoing from six concrete floors down. With 2011’s Passed Me By and We Stay Together, Stott solidified a musical voice that was nearly subliminal, its deep, undulating bass and gritty factory hisses hitting almost entirely at a hypnagogic level. On 2012’s Luxury Problems, he transformed that dream state into a quasi-religious trance, adding the angelic vocals of Alison Skidmore, his operatically trained piano teacher, which limned the unrelenting gray with a softly incandescent glow. Suddenly that sound from the shadows had bigger rooms than ever entirely transfixed. The question became whether Stott would continue to push outward, or retreat back behind the haze. Faith In Strangers—though no one would ever mistake it for a crossover bid—argues definitively for the former, marking both Stott’s most aggressive and his easiest-on-the-ears recording yet. That strange dichotomy was telegraphed early with the release of “Violence,” a song that finds Skidmore leaving behind the celestial sighs of Luxury Problems for a cold yet alluring electro-clash whisper. As she sighs, Stott stabs, using snapping hits of trap snare over lurching, redlined bass, and a melodic break that resembles a distorted, dying music box. It’s both menacing and seductive. And that polarity continues to play out across an album that balances ugliness and beauty in confident measure. Some of that balance must be accorded to Skidmore, who here, even more so than Luxury Problems, deserves credit for shaping the album’s sound. She appears on six of its nine tracks, her voice creating both formless cumulus clouds and the cold flat-earth murmur that grounds them in “On Oath”; creeping in with a childlike singsong on “Science & Industry”; appearing cut up into aerobic gasps on “How It Was”; and multi-tracked into a haunted, ruined choir on closer “Missing.” Most importantly, it’s the centerpiece of the album’s gorgeous surprise of a title track, a bit of digitally crushed dreampop that suggests Cocteau Twins as filtered through Aphex Twin—all skittering drum-machine pings, a bass line nicked from an ’80s New Romantic ballad, gauzy synth swells, and Skidmore’s gossamer voice floating above it all. 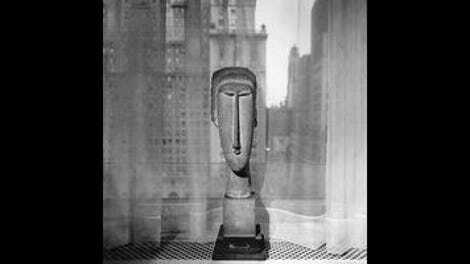 Yet despite these moments of unabashed beauty, Faith remains heavy as ever on Stott’s dank, industrial dissonance. In particular, the locomotive hiss and found-sound metallic clangs of “Science & Industry” and the fast-forwarded horror-movie chase of “No Surrender” find him at his most abrasive, suggesting that Stott’s recent side gig in Millie & Andrea—alongside Demdike Stare’s Miles Whittaker—has left him embracing that latter group’s willingness to provoke. In the album’s most patience-trying track, “Damage” trips and stutters over a repetitive hip-hop beat, like some prankster repeatedly pressing his keyboard’s “demo” key. It’s almost enough to make you wonder whether Stott worried his album was maybe getting too accessible. That such a question could even be considered is really the most notable thing about Faith In Strangers: Stott’s nearly 10-year discography has produced countless tunes made for obsessive immersion, but it’s never produced a record that reaches out and demands attention quite like this. It’s an album that confirms Stott has been slowly building a platform and not a wall, raising himself above the murk to a midpoint where spotlight and shadow meet. It’s an exciting step forward for an artist who could easily have been content to hang back.